Want to do something charitable? Consider drinking more. In a brilliantly convenient move, spirit companies and charities are teaming up to give everyone what they want: booze and a better world. Here, five spirits that support worthy causes. 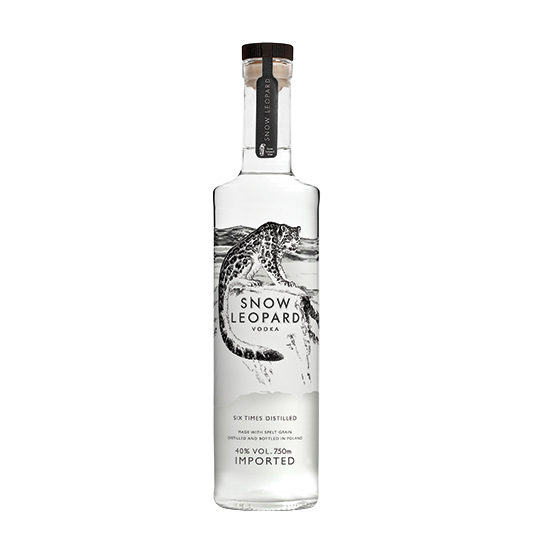 Recently released in the US, this superbly smooth, spelt-based Polish vodka donates 15 percent of its profit to the Snow Leopard Trust. The organization aims not only to save snow leopards, which are critically endangered, but also to help the herder families who share the snow leopards’ habitat. The idea is that by improving the herders’ livelihoods, the organization makes it less likely that they’ll be driven to poach the leopards. This company gives 15 percent of its profits to the Big Life and Space for Elephants foundation, two organizations working to stop ivory poaching and preserve elephants’ habitats. Inspired by the African plains on which the elephants live, the gin includes botanicals like baobab and African wormwood for a unique, zippy and herbaceous flavor. Whether it’s the blanco, reposado or añejo (all made with 100 percent blue agave), a portion of the profits from each bottle of Demetrio tequila will go to Water For People. The Denver-based organization helps bring safe drinking water to those who need it around the world. Though they initially set out to make a chicory-and-coffee bitter, the folks at Bittermens were inspired by a local New Orleans barista to make a liqueur instead. The result is a heady blend of Brazilian coffee beans, chicory root, vanilla, cacao nibs and Belgian–style candi syrup. Bittermens wanted to give back to New Orleans, the city that inspired the liqueur, so for every bottle sold the company donates 50 cents to a local charity. Named for and inspired by the famous castaway, Crusoe rum works to be as sustainable as possible. It’s made with fair-trade sugarcane and the label is made with recycled paper and soy ink. Also, for every bottle sold, Crusoe donates one month’s worth of clean water to people in need.